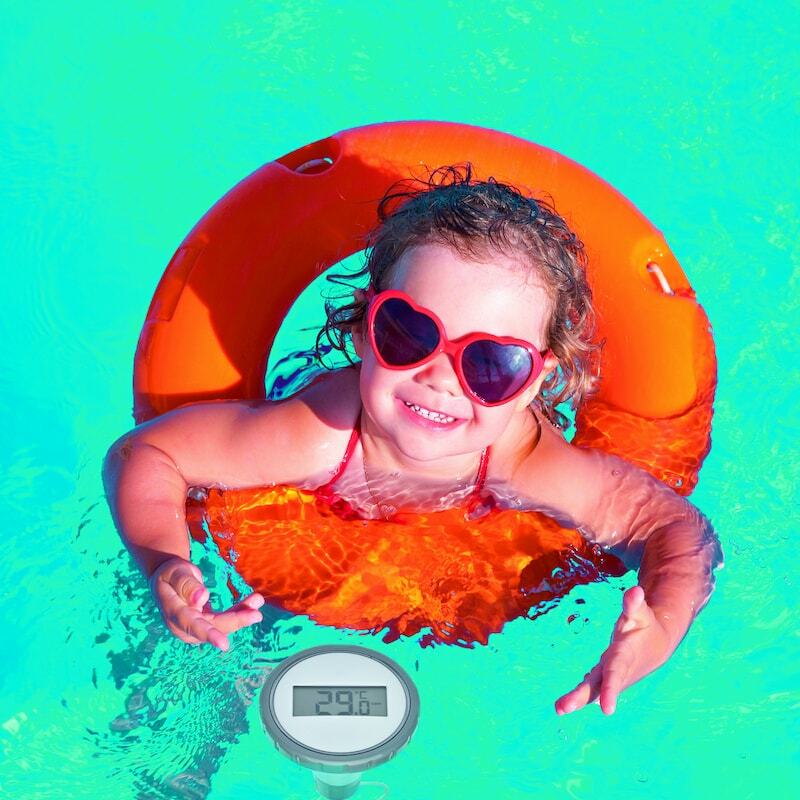 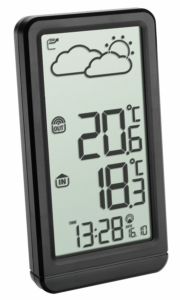 Whether the pool is already inviting you for a swim or to check if the pond has the right temperature for the fish, with the wireless thermometer PALMA you can monitor the water temperature at any time – and in the comfort of your living room. 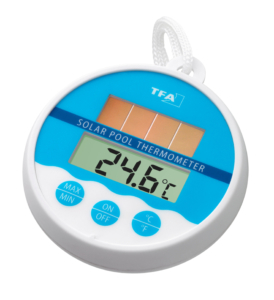 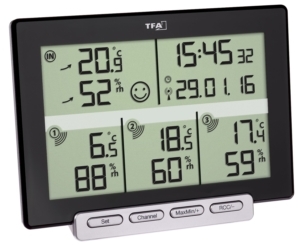 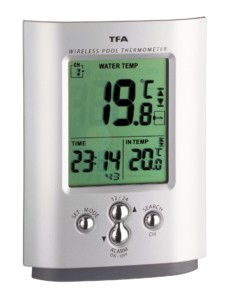 The floating pool transmitter transmits the information directly and wirelessly to the base station and also has its own temperature display. 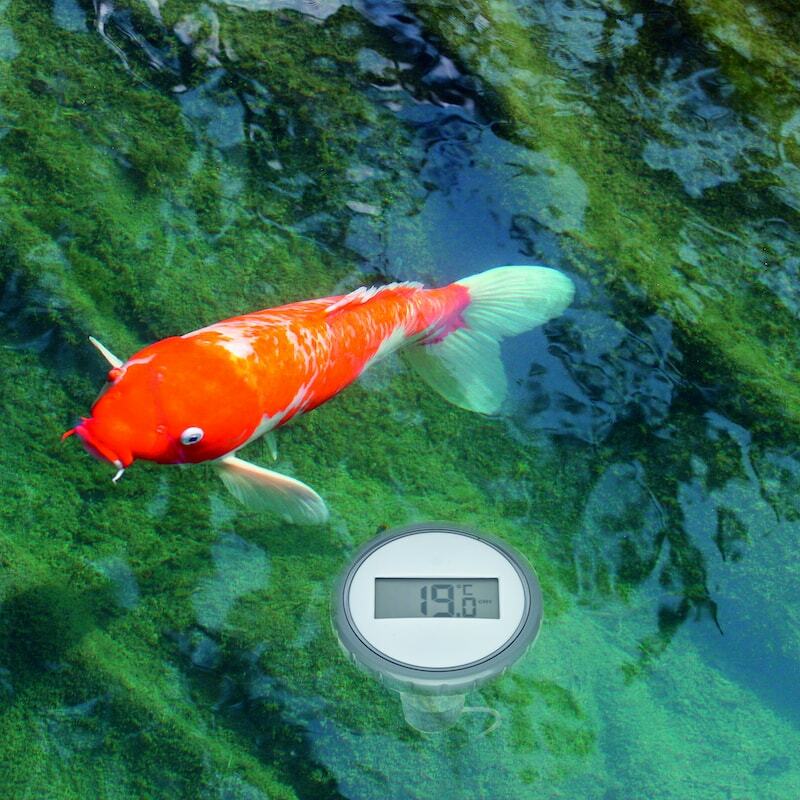 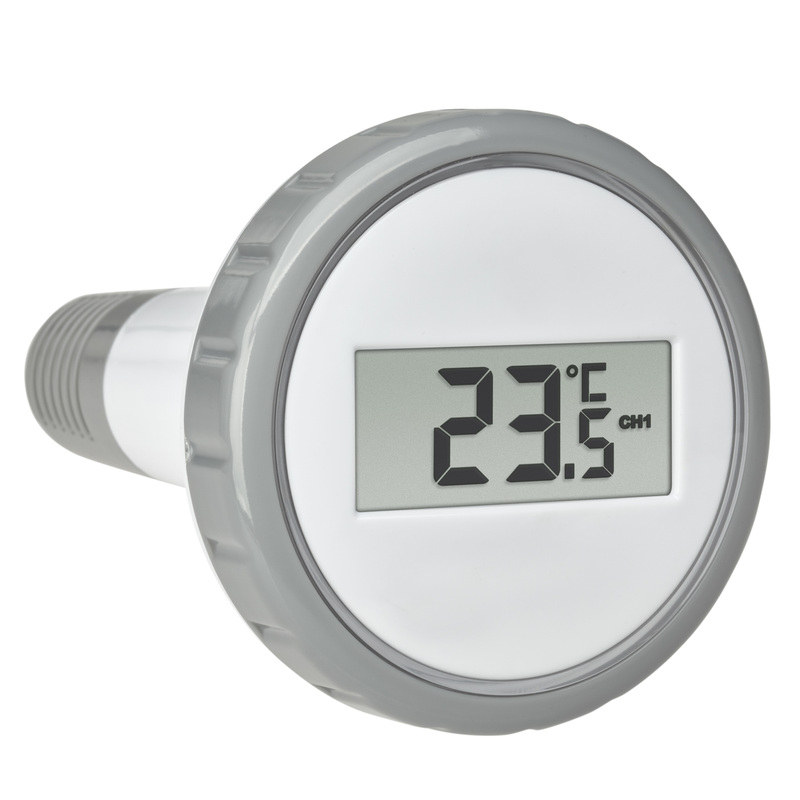 The sensor measures in 120 mm measuring depth. 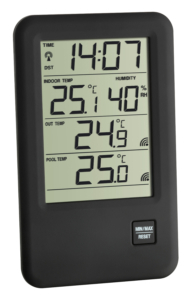 In addition, the base station displays the room temperature of its location. 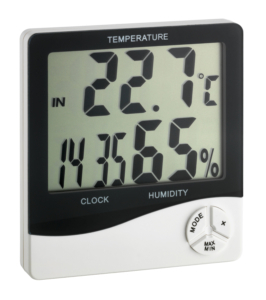 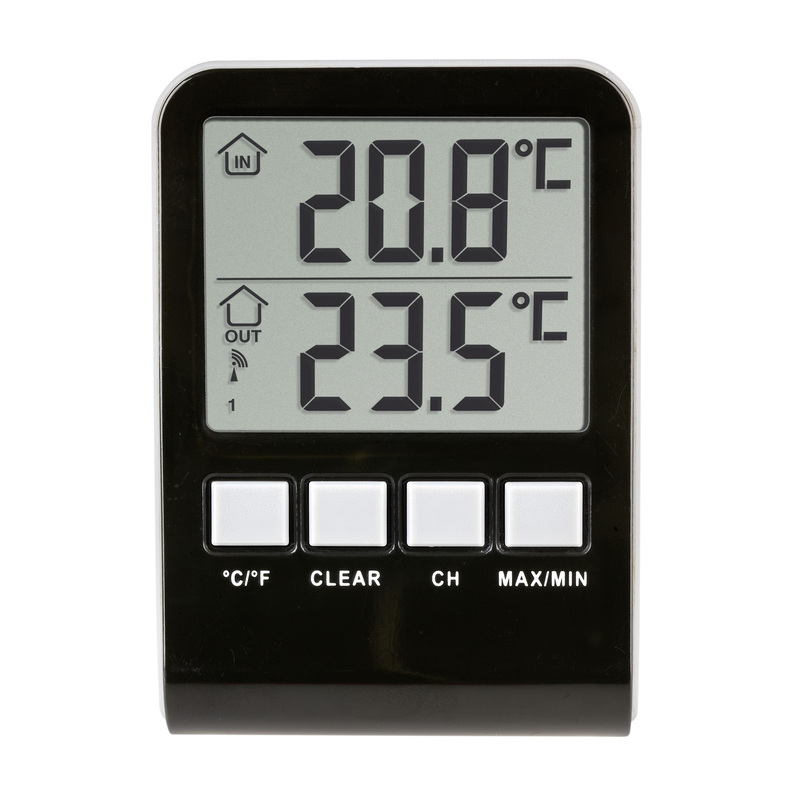 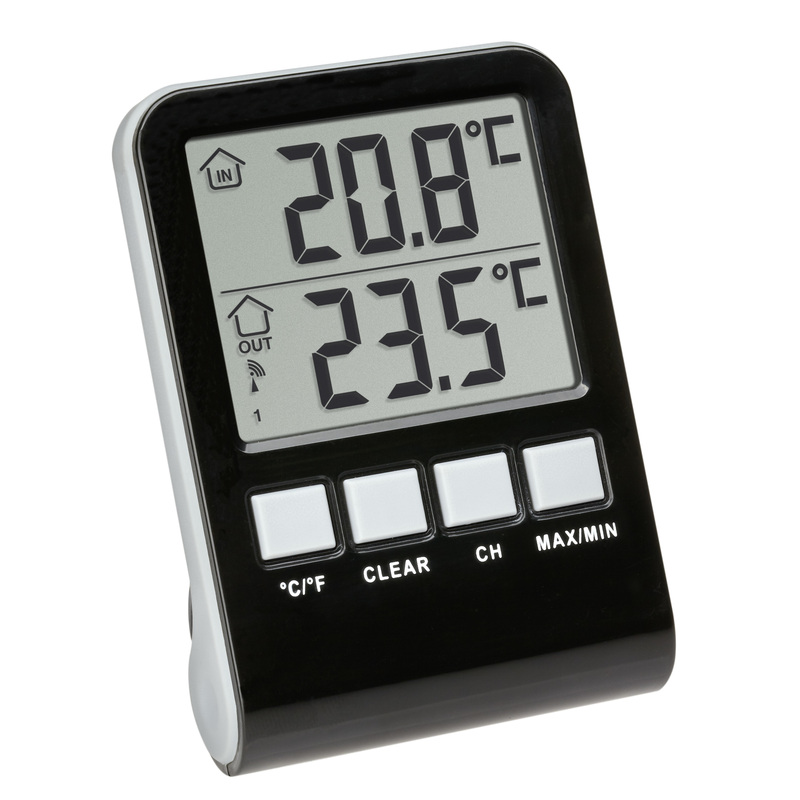 The max and min values are stored and displayed at the push of a button. 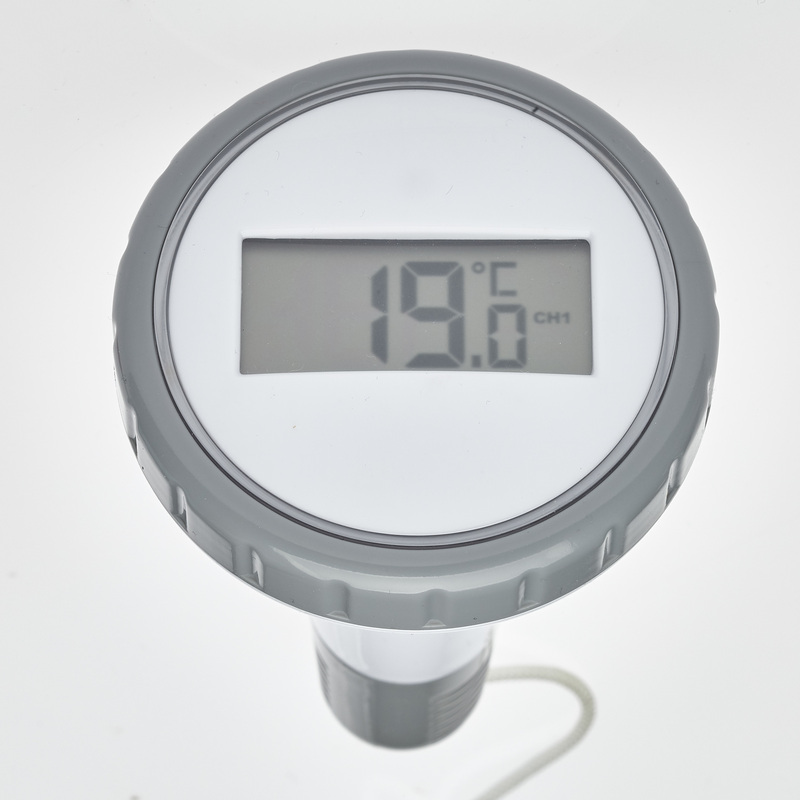 As an option, you can connect 2 more pool transmitters, which can be purchase additionally.